July 14th, 2016 will go down in the history of France and the world as a day of terrible tragedy and heartbreak. Following the terrorist attack in Nice, where 84 were left dead and so many others critically injured, it is hard to see anything about that tragic day in a positive light. However, with our world being in the dark state that it is in, we must try our hardest to look for those moments of brightness while we swim in a sea of tragedy. The attack on July 14th in Nice was not the first, nor will it be the last time that evil comes in with intentions of causing only bad. France remains strong, the world remains strong, and in the face of tragedy it is often best to look back to previous times of anarchy and tyranny and remember the victories then and apply them to the now. 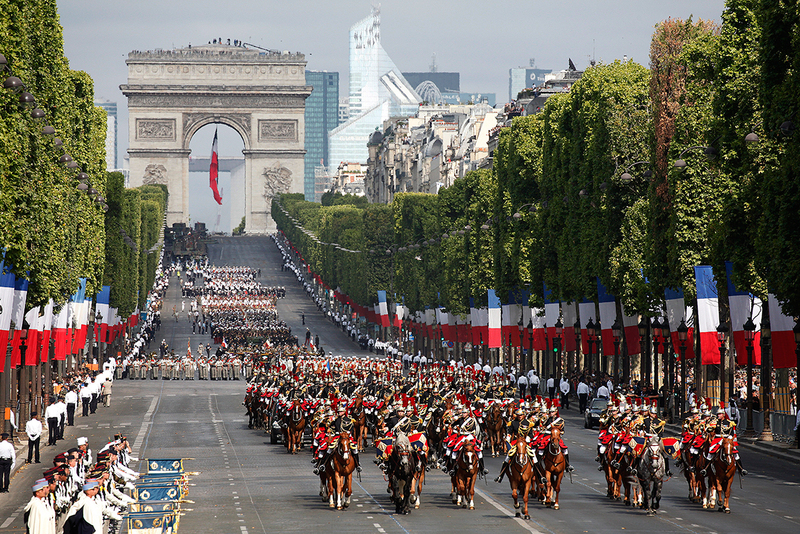 Bastille Day is a French national holiday, celebrated because of the storming of the Bastille Jail on July 14th 1789, and is recognized by many as the start of the French Revolution. It was an act of rebellion against the forces of evil that had plagued France for years: food shortage, environmental problems, and of course, the forces of a tyrannical ruling class whose greed and quest for vengeance kept fear in the hearts of the French people. In that moment in time, there was no better thing for the people to do then band together against the harsh atrocities of their world and unite themselves as one, undivided population dedicated for a better future. The motto that stuck to the actions of those who were no longer afraid of taking the chance and being brave against all that they had once been taught to fear. There was no need to remain hidden while monsters ruled the streets. There was no need to be paralyzed in the apprehension of what may come of tomorrow or the day to follow. There was a light found in the voice of speaking up for the actions that would prove to be the right ones; the path carved towards a government for the rights of the population and not the politicians, the tranquil and not the terror, the future and not the fear. July 14th, 1789 and July 14th, 2016 are similar in more ways than one. In this day and age, the plagues of terror, fear, and warfare do continue to beat and erode at the shores of peace and democracy. Just as the storming of the Bastille was the start of a revolution, in this moment, we can also find ground to storm our own revolution. Our past may be our past, but it may also be one of the best places to find footing for our future. Tyranny and tragedy can only rule if you lend them the right to do so and destruction will only occur if you bow down to the evil instead of storming it instead. The hearts of The Millennial Times go out to the families impacted by the tragedy in Nice and those affected by terror around the globe. as well as the global community affected by those who push for the worst of this world.